...That Rubio ties Clinton with young voters tells us about the senator’s potential strength in a general election, and the secretary’s ongoing fight to build enthusiasm for her campaign. It also raises a question: Why, exactly, are young voters attracted to Rubio?...On everything from drug policy (he opposes loosening marijuana laws) to the minimum wage, Rubio is out of step with the youngest Americans. So, why the appeal? It’s possible that this has less to do with Rubio than it does the composition of the youth vote, and the circumstances of those voters. The young people who will vote in the 2016 election aren’t the same ones who voted in 2008 and 2012. 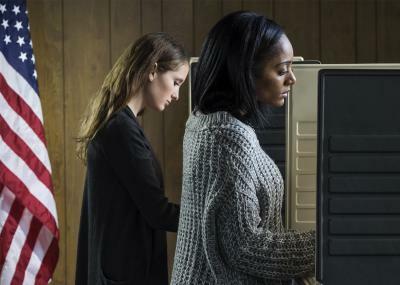 Overall, according to the Pew Research Center, millennials lean Democratic. But the youngest millennials are more Republican than their older peers (although still largely Democratic), and that’s especially true for white millennials, who are more conservative than their black, Latino, and Asian counterparts. Put differently, the most liberal millennials are those that came of age under President George W. Bush, while the most conservative ones are those that came of political age under President Obama and have faced a sluggish and stagnant economy. ...[T]hese voters may just be skeptical of the Democratic Party’s ability to deliver economic growth and opportunity. To this point, the November unemployment rate was 15.3 percent for people aged 18 to 19, and 9.6 percent for people aged 20 to 24. If today’s polling snapshot shows anything, it’s that Republicans can capitalize on this economic disadvantage.